“I do believe in fairies. I do, I do!” Well believe or not, this wonderful fairy will make all your dreams come true! 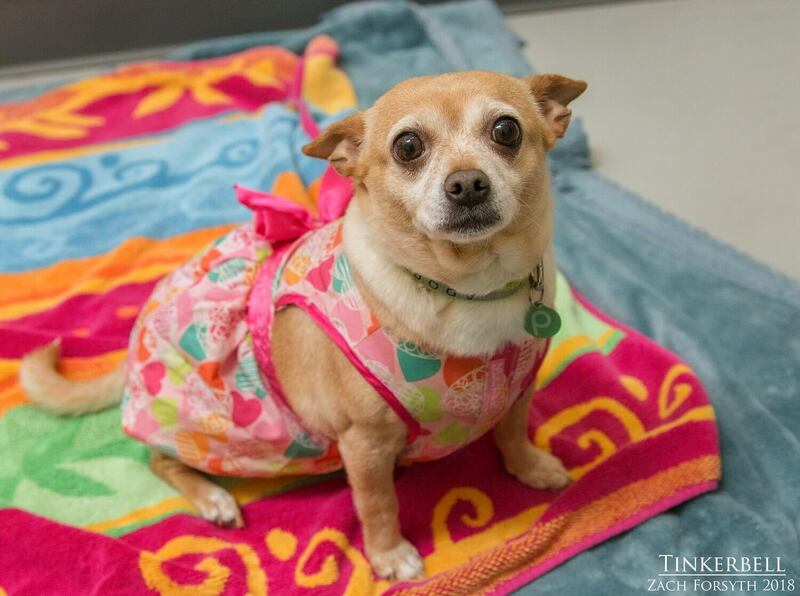 Hi everyone, my name is Tinkerbell and I am 5 year old Chihuahua. I am a magical and hilarious creature with a big heart who is ready to share the love with you! I don’t mind going on my daily walks around the block. But it’s the snuggling that makes me the happiest! In fact, when I get excited, I will run over to you, slide on the floor and flip on my back to make it easier for you to rub that belly! I get along with fine with my doggy friends that I hang out with here in playgroup. I can be a little socially awkward, but my little hops to the side and play bows are too cute to say no to. I don’t mind having a kitty around either. After years of having to take care of those lost boys, I am ready for a break and would prefer to relax in an adult only home. Beautiful, sassy, and downright funny, I am looking for someone to share my magic with. So think you happiest thought (me of course, right?) and fill out an application today! I come to you spayed, vaccinated, and micro-chipped with an adoption fee of $350.